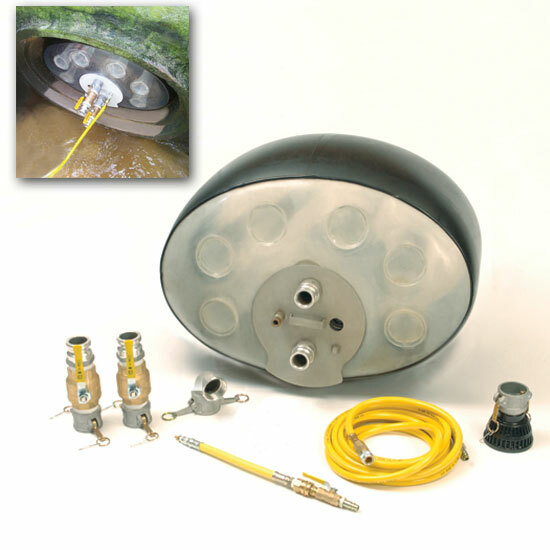 Flowstop Model E1930FT is a single 2'' Flow Through. Call for details and pricing. We also design and develop custom pipe plugs, call with your specs. FlowStop features elliptical pipe plugs in 2 sizes, offered as Stopper or Flow Through models. Current sizes service: 19" rise, with 30" span available as a single 2" Flow Through port or Stopper plug. The 29" rise with 45" span is available as a 2" dual port Flow Through.